My January 2018 newsletter is available for download. This issue has my market report through November 2017. Also in this newsletter is my Year-end 'Preview', new way to access the MLS, news on the Dollar General store, and my Holiday message. It also contains a link to my second video newsletter. #EasthamDreamHere Here is the December 1st snapshot of the Eastham real estate market. Sales are below last year's levels (again), inventory is down (again). Still looking for a pretty good year, but not a record year. The price message is that the median prices (YTD) are up 13.6%. Wow! (Click on table to enlarge it for easier reading). My Decenber 2017 newsletter is available to download. This issue has my market report through October 2017. 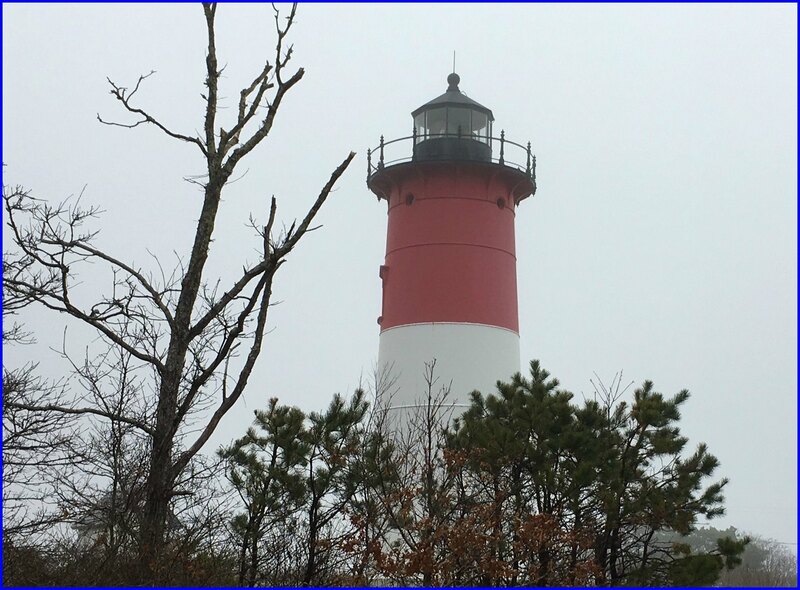 Also in this newsletter is a new way to access the MLS, a plea from the Eastham Fire Department, the Chapel in the Pines, 'I got sharked! ', and a new listing. It also contains a link to my first video newsletter. #EasthamDreamHere Here is the November 1st snapshot of the Eastham real estate market. Sales are up again, inventory is down again. Still looking for a pretty good year, but unlikely a record year. (Click on table to enlarge it for easier reading). My October 2017 newsletter is available for download. This issue has my market report through August, 2017. Also in this newsletter is a summary of the 2018 tax structure for Eastham, an article on a new rental idea, the new RE/MAX logos, a new way to access the MLS, and 4 new listings. 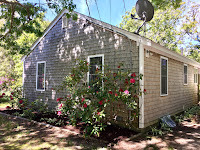 EASTHAM - New Listing - This is a super cute cottage, just the second house back from the Bay, at the end of a short dead-end street ending in a set of stairs to your private association beach. The living room/kitchen/dining space has a fireplace at one end and a large waterview window at the other. A delight to see and fun to enjoy. Inside we have vaulted ceilings, 2 bedrooms, and an updated kitchen. Outside we have lots of decking (with views), an outdoor shower, and a modest shed. This has been a good rental with lots of repeat customers. Want more photos, a Virtual Tour, More? Go to http://3NansWay.robertsheldon.com. Dream Here! EASTHAM - New Listing - This is an unusual property in several ways. 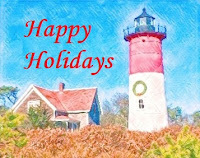 We have 2 year-round homes, each 3 bedrooms and 2 bathrooms, deep in the National Seashore, built is 2003, and literally next door to the Nauset Light lighthouse. Super rental property with $75K gross for 2017. Both homes are really charming and share beautifully landscaped grounds with spectacular rhododendrons and slate and gravel walkways and patios. 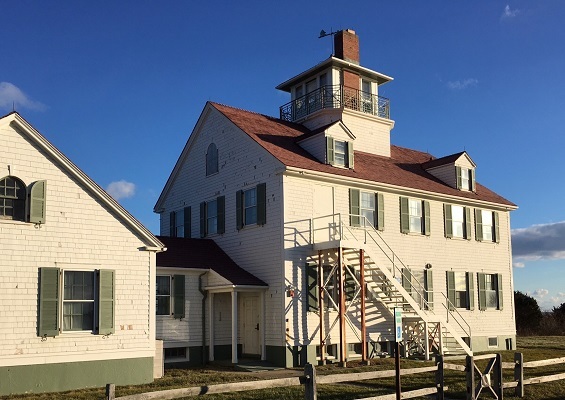 The 'South' house has a large rooftop deck overlooking the lighthouse. There is a private path to the Seashore access to the ocean beach. Both homes have central AC and gas heat. These houses are being sold together and fully furnished. Want more information? Go to http://935RCableRd.robertsheldon.com. There's more photos, a Virtual Tour, location map, etc. 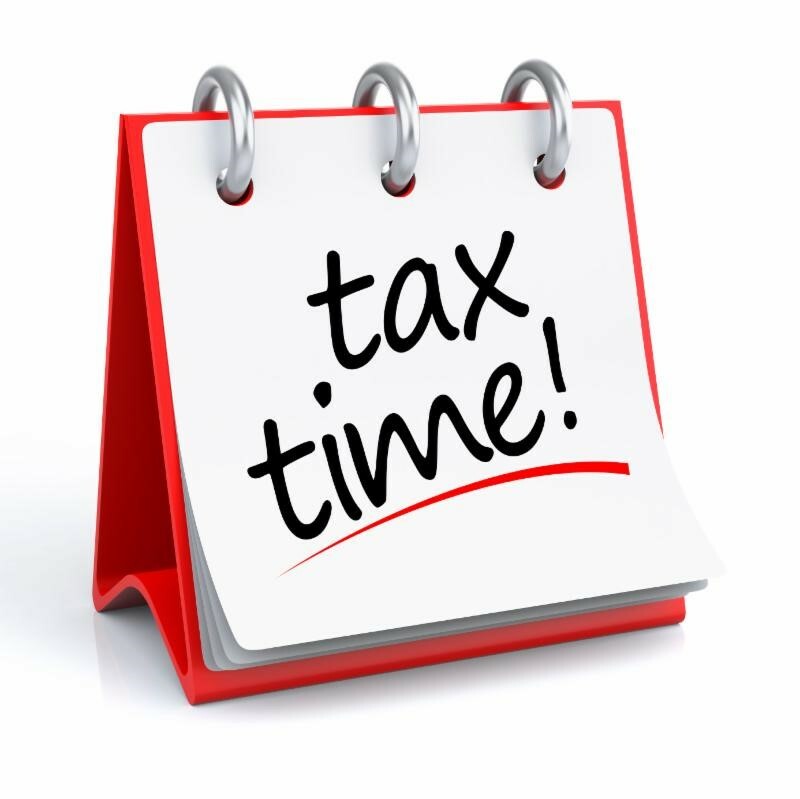 The 2018 real estate tax rate for Eastham will be $8.35/thousand (up 5.7%). The tax on the median-valued home will be $3,445. EASTHAM - New Listing - Amazing house with amazing views. This is a newer house (2000), built by a builder for himself. Over 3000 sqft of living space, with natural gas, central AC, 2 ensuite guest bedrooms, office, custom kitchen with granite counters and an enormous island, upscale appliances, central vac, generator, 4 car garage(s), Trex-like decking, family room in walk-out basement, 3-full and 2-half baths. The master suite has a wonderful screened-in porch in a addition to his/her walkin closets, ceiling fan, a re-done master bath and laundry. Outside we have a large deck overlooking First Encounter Beach, irrigation, a hottub, a small waterfall and a flagpole. All this is just a short walk to Herring Pond. There is much more .....! More info? Go to http://325HerringBrook.robertsheldon.com. There you'll find more photo and a Virtual Tour. Check out the YouTube video ... Here. Here is a snapshot of the Eastham real estate market. Sales still up (volume and prices) from last year, inventory still lower than normal. I predict a pretty good year, overall. (Click on table to enlarge it for easier reading). New Listing - 4 Bedroom Bayside Cape - Walk to Bay! EASTHAM - New Listing - This is a 4 bedroom, 3 bath Cape-style home, that would make a great vacation home or rental property, so near the Bay beaches and below $450K. We have a open kitchen/dining/living room and 2 bedrooms on the first floor, 2 more bedrooms and a bath upstairs, and a mostly finished basement (not counted in the sqft-age) with another full bath. This home has driveway access from Serb St with lots of parking. Cooks Brook Beach is just a short walk away. Exceptional value. More info? Go to http://1160MassasoitRd.robertsheldon.com. There you'll find more photo and a Virtual Tour. My September 2017 newsletter is available for download. 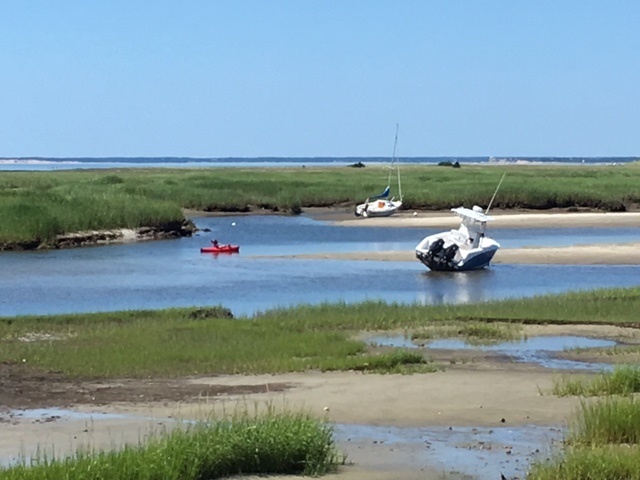 This issue has my market report through July, 2017.Also in this newsletter is Part 2 to my Mid-Year Report with the results from neighboring towns, as well as articles on the Windmill Weekend, 'Cape Cod Confusing', Jeremiah's Gutter, and a new listing.. This newsletter has been published every month for over 14 years. 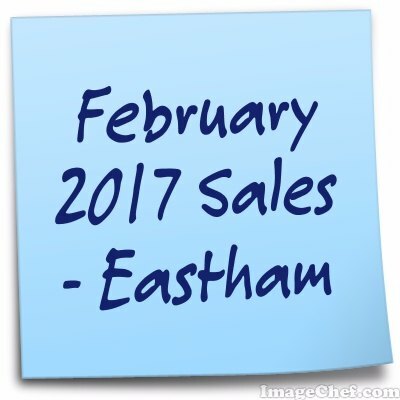 My aim, with this newsletter, is to provide accurate sales and market information about the Eastham housing marketplace, to add commentary and opinion (as appropriate), and to keep it interesting. Download your copy of my September newsletter now. This is a wonderful home in an amazing location. This Cape has 3 large bedrooms, 2 baths, an eat-in kitchen, living room with fireplace with stunning views of the ever-changing Boat Meadow Marsh, a separate den, laundry area, 2 car garage, and a screened-in porch overlooking the marsh. This home sits on a half acre lot at the end of a quiet cul-de-sac. Sit in the porch and watch the birds, deer, and kayakers - or launch your kayak from your back yard. Close to Bike Path. So cool! This home is not in a flood zone. Dream Here! More info? Go to http://370GoodyHallettDr.robertsheldon.com. There you'll find more photo and a Virtual Tour. Check out the YouTube video...here. 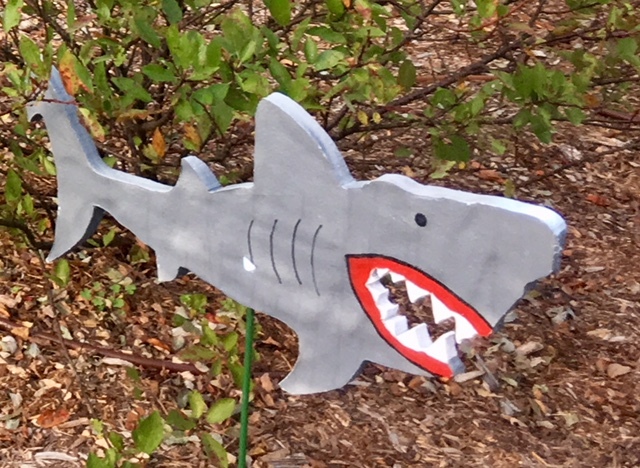 My Mid-Year Eastham Market Report is Out! My August 2017 newsletter is available for download. This issue has my mid-year market report through June 2017. Also in this newsletter are articles on the Cape Cod Museum Trail, an update on the Eastham water project, my new YouTube channel, and a fabulous new listing. This newsletter has been published every month for over 14 years. My aim, with this newsletter, is to provide accurate sales and market information about the Eastham housing marketplace, to add commentary and opinion (as appropriate), and to keep it interesting. Download your copy of my August newsletter now. Eastham - New Listing - Amazing Bay Views! NEW LISTING - The family has enjoyed this home for several decades. This 2500 sqft home, with it's large rooftop deck has 360 degree views of Cape Cod Bay, the Audubon Sanctuary, and surroundings and it's just a short walk to your private Assoc beaches. Inside we have 3 bedrooms, including a wonderful master suite with its own deck, 2 bedrooms, a huge sleeping loft, and a family room. The spacious living room has great views, a gas fireplace, multiple built-ins, a small wet-bar, and another smaller deck (4 decks total). The property has 3 garage spaces and spans 2 private roads for maximum parking. This property needs to be seen to be appreciated. Dream here! Check out the video by clicking above. More info? Go to http://450QuasonDr.robertsheldon.com. The 15 June sales totaled approximately $8.4M - the average home sale price was $563K. The median sale price in June was $507K. As of July 1st there were 54 active single family listings in Eastham (down 1 from last month) with an average list price of $718K and a median list price of $555K. The average days-on-market is 163 days. For more details, graphs, and commentary, download my latest monthly Eastham newsletter -- here. I've been publishing this newsletter for over 14 years with the goal of providing market information to my clients, so they may approach the market from a more informed position. Check it out! Also, check out my new video (it's just a minute!). My July 2017 newsletter is available for download. This issue has my market report through May 2017. Also in this newsletter are articles on the MASS Save program, 2 new listings, and a call for investors. This newsletter has been published every month for over 14 years. My aim, with this newsletter, is to provide accurate sales and market information about the Eastham housing marketplace, to add commentary and opinion (as appropriate), and to keep it interesting. Download your copy of my July newsletter now. Eastham - New Listing - Looking for the perfect Cape getaway? Look no further. This year-round, 3 bedroom, 2-1/2 bath updated ranch home is located on a quiet lane just a short walk to beautiful South Sunken Meadow Beach. We have an open floor plan with an updated kitchen including walk in pantry, living room with a fireplace, built-ins, large dining area, ceiling fans, and recessed lighting. There is a delightful sunroom, a separate screened-in porch and a large rear deck. The large master suite includes an updated bathroom, attached office and access to the sunroom and is separated from the guest bedrooms. More - central air conditioning/heating, natural gas, house generator, whole house fan, wooded lot privacy, full basement with finished rec room, hardwood floors, 1st floor laundry room, tons of storage, outdoor shower, shed, and plenty of parking. This home comes completely furnished with just a few exclusions. Rental history. Click on the photo for a video tour. Dream Here! Goto http://160AsasRd.robertsheldon.com for photos and more info. Check out the Virtual Tour. 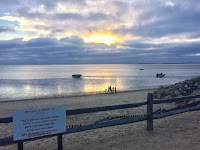 Eastham - New Listing - Waterfront on Cape Cod Bay - Wow! 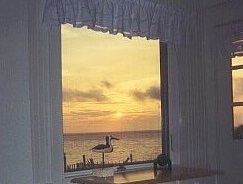 Eastham - New Listing - Are you ready for perfect sunsets every day? 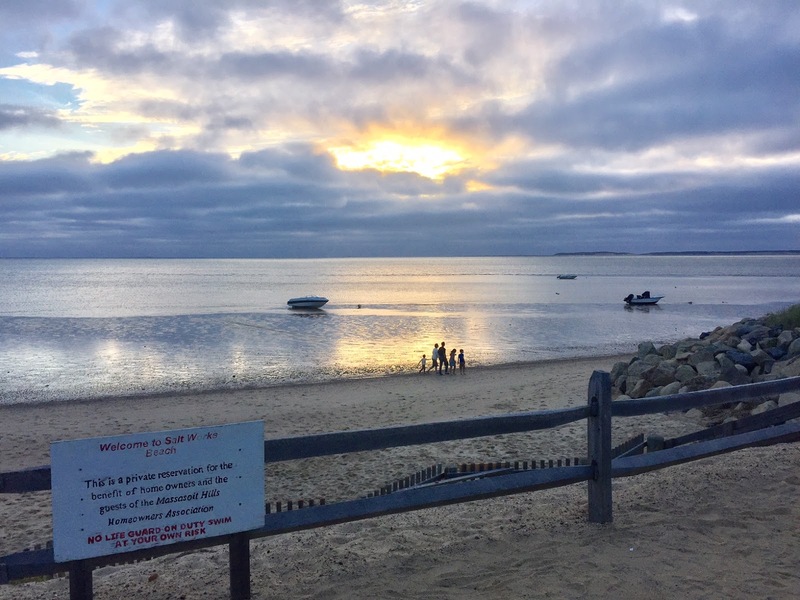 The 3 bedroom Cape sits waterfront on one of Eastham's best private association beaches, between Thumpertown Beach and Campground Beach. This home has been enjoyed by the family for generations, but now it's time to sell. We have a large living/dining room, a bright sunroom, and 2 1st floor bedrooms. There is an enormous 2nd floor bedroom with insane water views of Cape Cod Bay. There is a full basement with a single car garage, large enough for your vehicle, but is a great place to keep your bikes, kayaks, SUPs and the rest of your Cape toys. Click on the photo for a video tour. Dream Here! Goto http://345ShurtleffRd.robertsheldon.com for photos and more info. Check out the Virtual Tour. NEW LISTING - Eastham - This 2 bedroom home is ready for you to move right in. Super clean and neat, open floorplan, full basement (partially finished), updated bathroom, new roof, siding and windows, outdoor shower, big deck, private back yard, and low maintenance landscaping. All on a quiet sand road just over a mile to the Bay beaches. Goto http://75BosanAvenue.robertsheldon.com for photos and more info. Check out the Virtual Tour. 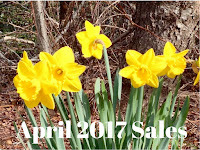 Eastham's May 2017 Sales - Wow! The 21 May sales totaled approximately $10.5M - the average home sale price was $502K. The median sale price in May was $465K. As of June 1st there were 55 active single family listings in Eastham (no change from last month) with an average list price of $710K and a median list price of $559K. The average days-on-market is 160 days. EASTHAM - New Listing - This immaculate, 3 bedroom, 1.5 bath, Cape home is move-in ready. Open and spacious eat-in kitchen and living room with ceiling fan. New Berber carpet in all bedrooms and cherry wood laminate floors in common rooms. 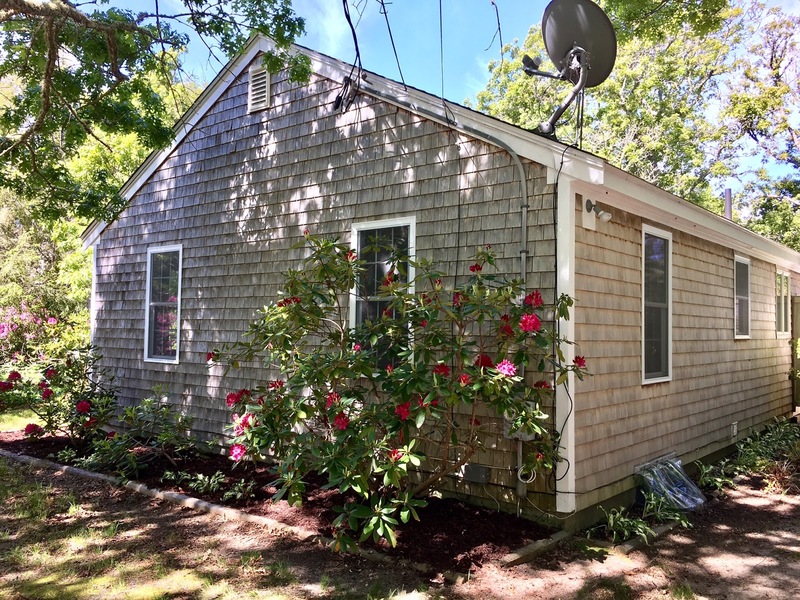 One car garage on a 2/3 acre property only a half mile from the Cape Cod Bike Rail Trail, and a short drive or bike ride to all Eastham Bay Beaches and Cape Cod National Seashore. Clean and dry, walkout full basement. Come see! Goto http://360SouthEasthamSt.robertsheldon.com for photos and more info. Check out the Virtual Tour. 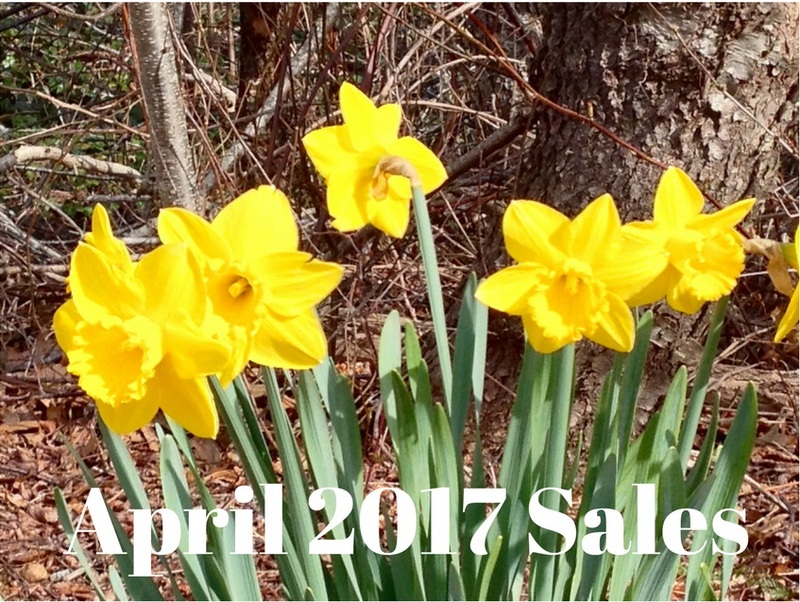 Eastham's April Sales - Disappointingly Slow. The 5 April sales totaled approximately $2.2M - the average home sale price was $441K. The median sale price in April was $469K. 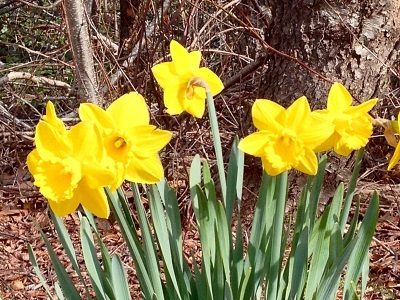 As of May 1st there were 55 active single family listings in Eastham (no change from last month) with an average list price of $679K and a median list price of $530K. The average days-on-market is 193 days. My May 2017 newsletter is available for download. This issue has my market report through the end of the 1st quarter of 2017. 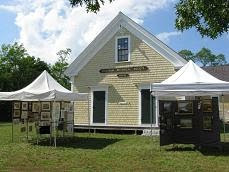 Also in this newsletter are articles on Eastham's upcoming Town Meeting, some recent 3-D home tours, and 2 new listings. This newsletter has been published every month for over 14 years. 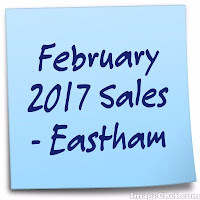 My aim, with this newsletter, is to provide accurate sales and market information about the Eastham housing marketplace, to add commentary and opinion (as appropriate), and to keep it interesting. Download your copy of my April newsletter now. EASTHAM - New Listing - This is a 3 bedroom Cape (plus a loft) that's been well-cared for and ready to move in. It has an updated kitchen with granite counters, a bright dining area with bay window, open vaulted living space with a wood burning fireplace, and 2 good-sized bedrooms downstairs. Upstairs is an open loft with a skylight, a 2nd full bath, and a large master bedroom. Add to that a full basement, an outdoor shower, large deck, a shed, and a nice back yard, all on just under a half acre. Come see - you'll be surprised at how nice this home is! Goto http://285MassasoitRd.robertsheldon.com for photos and more info. Check out the Virtual Tour. The 6 March sales totaled approximately $4.3M - the average home sale price was $706K. The median sale price in March was $621K. 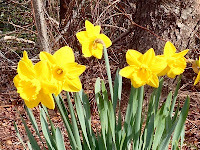 As of April 1st there were 55 active single family listings in Eastham (down 8 from a month ago) with an average list price of $722K and a median list price of $549K. The average days-on-market is 221 days. For more details, graphs, and commentary, download my latest monthly Eastham newsletter -- here. I've been publishing this newsletter for 14 years with the goal of providing market information to my clients, so they may approach the market from a more informed position. Check it out! New Listing - Eastham - Rarely do you find a home that's as pristine and nicely appointed as this home. We have an expanded eat-in kitchen with granite counters and island, hardwood floors, bright breakfast area, and pantry. Also on the first floor is a large master bedroom, vaulted living room with gas fireplace, dining area, and a full bath.. Upstairs are 2 large bedrooms and another full bath. To make this home even better - we have a wonderful 4 season sun-room, a 2 car garage with bonus space above, a large back deck, outdoor shower, natural gas heat and cooking, town water, large private back yard, and a full-walkout basement. Home is on the Ocean side, with easy access to the bike path and the Ocean beaches. Goto http://4EldiaWay.robertsheldon.com for photos and more info. Check out the new 3-D Virtual Tour. My April 2017 newsletter is available for download. This issue has my market report through the end of February. Also in this newsletter are articles on Affordable Housing in Eastham, 4 Sisters Specialty Foods, Shoreline walks, a 'new' new listing, and a Sellers' testimonial. This newsletter has been published every month for 14 years. 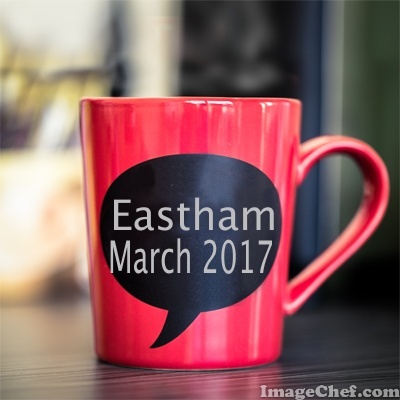 My aim, with this newsletter, is to provide accurate sales and market information about the Eastham housing marketplace, to add commentary and opinion (as appropriate), and to keep it interesting. Download your copy of my April newsletter now. February 2017 Sales - Pretty Good for a Slow Month! The 6 February sales totaled approximately $2.3M - the average home sale price was $383K. The median sale price in February was $376K. As of March 1st there were 63 active single family listings in Eastham (up 4 from a month ago) with an average list price of $730K and a median list price of $550K. The average days-on-market is 247 days. My Year-End 2016 Market Report Is Available Now! My year-end 2016 market report is available now! This issue has my market report for January to December, the Three Sisters, a new Rt 6 Marketplace, and a Seller's testimonial. This newsletter has been published every month for 14 years. My aim, with this newsletter, is to provide accurate sales and market information about the Eastham housing marketplace, to add commentary and opinion (as appropriate), and to keep it interesting. Download your copy of my February newsletter now.